We specialize in trailers, trucks and superstructure. Please contact us if interested in any truck. The experience of several decades, we have created many valuable and most proven contacts and partnerships. Warranty and post-warranty repairs on trailers, trucks perform its own service center. We pay attention to the timeliness of our staff training and professional approach. Identical services offer specialized center in other countries. We guarantee parts purchased their originality and quality, guaranteed to meet the demanding criteria of road transport and road safety. We are ready to supply almost any spare part for trailer trucks. HOCHSTAFFL company operates in the market of lorries over 40 years, and during this period became one of the established companies in the European region, making it known as a reliable partner in the market with vehicles. The company was established in early 70s in kundli / Tyrol, Austria / as the business of new and used commercial vehicles taking over sole agency KÖGEL - Fahrzeugwerke for Austria. Followed by the establishment of a branch in Vienna, which has since become the headquarters of Hochstaffl. In the 80s, the company inspired by the vision of a united Europe and began to establish contacts with neighboring countries within and outside the EU. 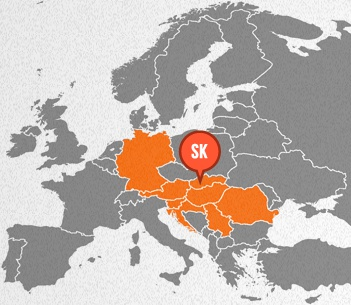 Subsidiaries were established successively in Germany, Hungary, Croatia, Serbia, Slovak Republic (Slovakia since 1995) and Romania. Currently owned by HOCHSTAFFL exclusive representation KÖGEL for several European countries. The company also specializes in the sale of other brands of trailers, such MENCI (tipper semi-trailers and tanker trucks), SANTI (tank trucks), KRAKER TRAILERS with CARGO FLOOR (global supplier of technology separate loading and unloading of goods - shift floor), WECON (bulk superstructures and trailers) and HIPOCAR (high volume superstructures and trailers) as well as further expansion of the assortment offered in sales of new and used tractors. Today, our company is in a position to meet our customers delivery of new tractors and vehicles of all brands with extensions of your choice, as well as used cars of any brand and type.